The world is full of amazing, beautiful and mysterious places. From gardens to caves, this is our list of the top 10 Most Amazing Places to visit before you die. 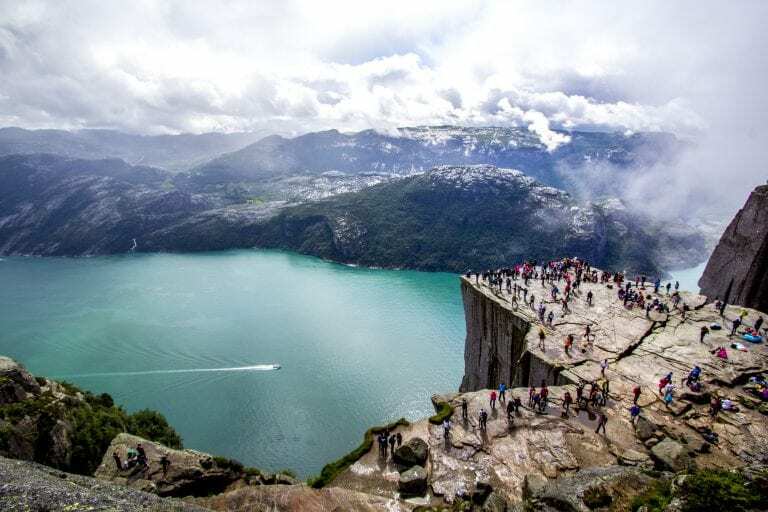 Situated 604 metres above Lysefjorden, Norway, Pulpit Rock is one of the countries most visited natural tourist attractions. The top of the cliff is a flat, 25 by 25-metre area where visitors can sit and enjoy the view. Pulpit Rock is visited by approximately 175,000 people a year. 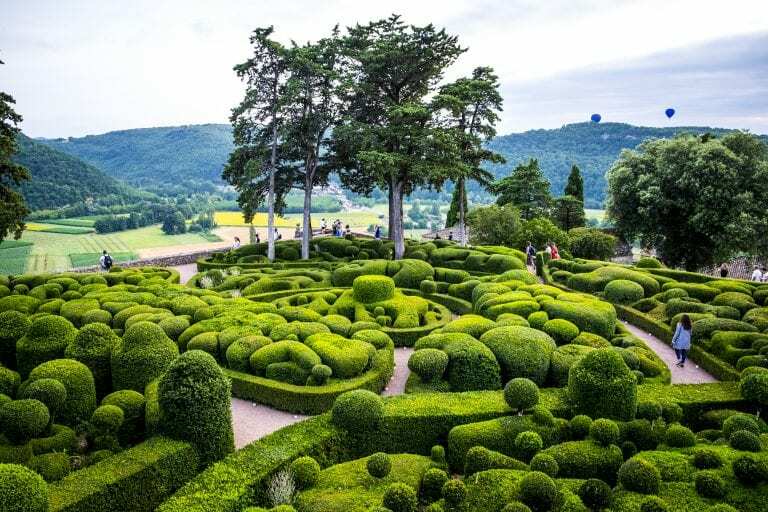 The unique gardens at Marqueyssac are located in the small town of Vézac in the Dordogne region of France. Vézac is located approximately 500 km south of the wonderful attractions of Paris. A team of attendants actively trim and maintain the garden, ensuring its more than 300-year-old design continues. The rounded, sculpted foliage surrounds the 17th-century Château de Marqueyssac. 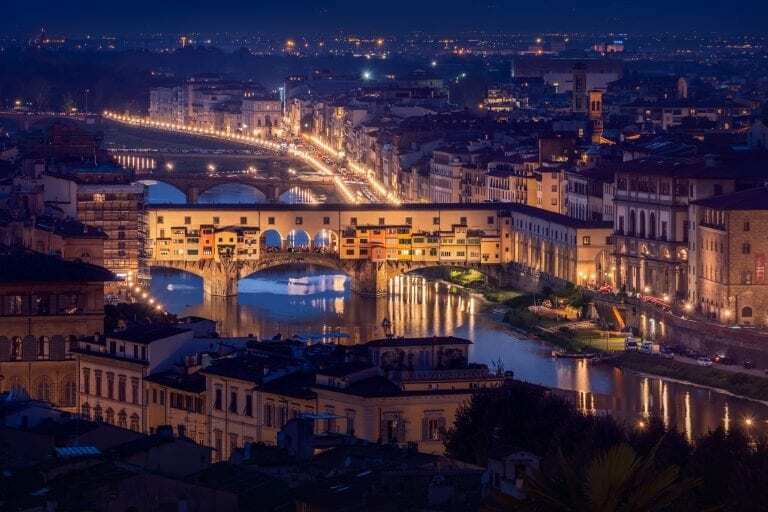 Ponte Vecchio, which directly translates into “Old Bridge” was built in 1345. The unique design has a number of shops and merchant houses that were built on top of the bridge’s structure. Vendors sell to tourists, providing mostly jewellery and live music depending on the time of day. The bridge is one of Florence’s many man-made landmark attractions. 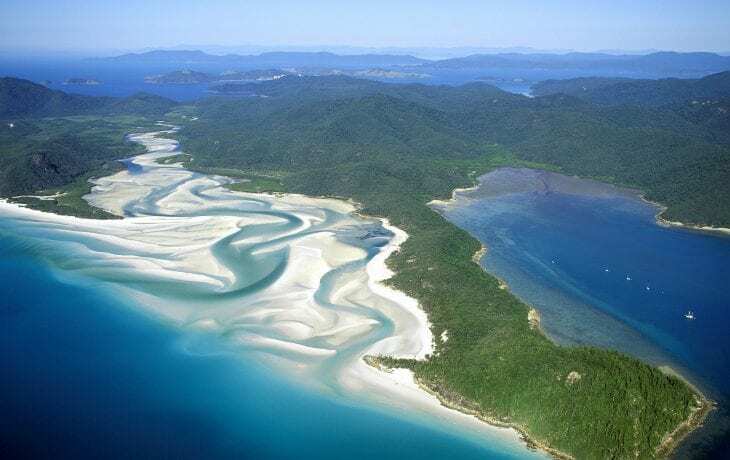 Known for its bright white sands, Whitehaven Beach is a popular destination for both tourists and locals. Due to Australia’s large size, the country is blessed with a wide variety of natural landmarks. The beach, located on Whitsunday Island is only accessible by boat and boasts a strong record of eco-friendly behaviour. Additionally, travellers should be warned that cigarette smoking and Dogs are not allowed on the beach. 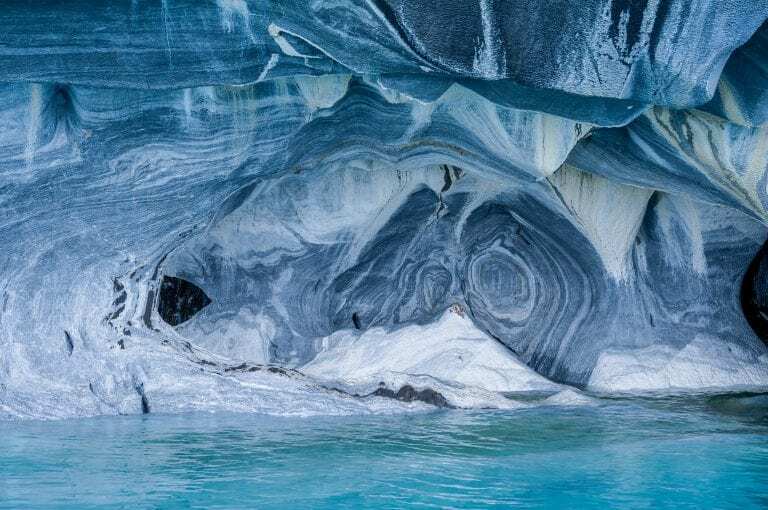 Located in Lake General Carrera, Patagonia, this beautiful cave system has both stunning colour and breathtaking form. The caves consist of above air entrances and interconnecting networks of water-filled marble caverns. This enchanting series of clear pools and waterfalls looks like it belongs in a fantasy world. 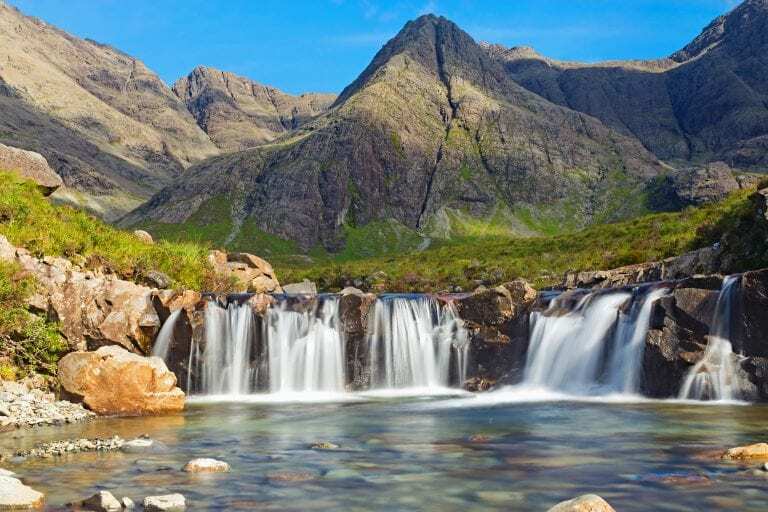 Aptly named the Fairy Pools, they can be located in the Cuillin Hills, Isle of Skye, Scotland. The almost unnatural bright blues and greens of the pools contrast the sheer and rocky landscape. 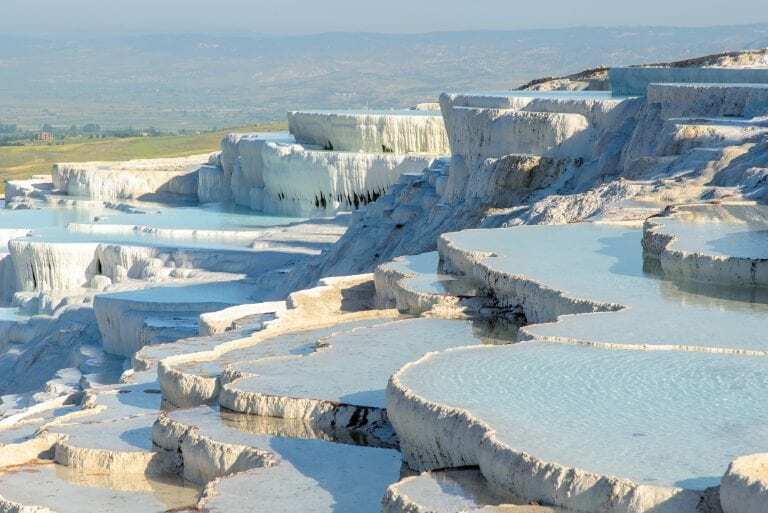 The Pamukkale Hot Springs is one of the most visually unique bathing locations in the world. Calcium rich water flows over the small white cliffs, this leaves behind a thin layer of the mineral. Over time this process creates the stunning white landscape that we can enjoy. 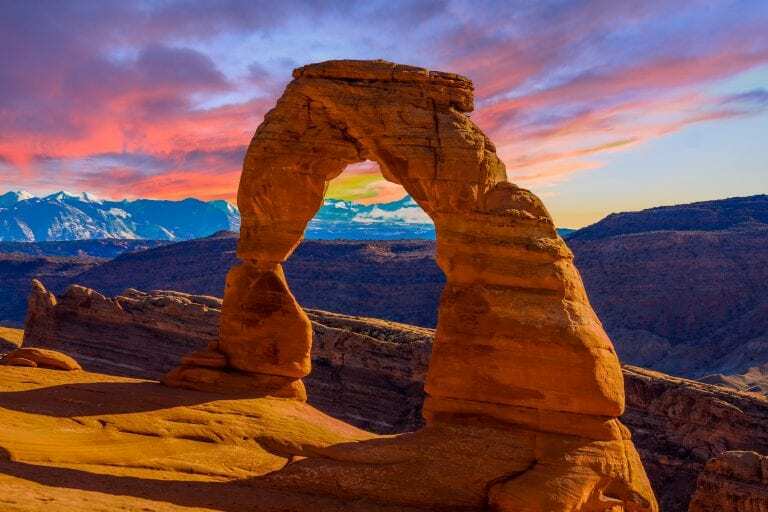 Utah is a state well known for its beautiful national parks. The red mountains area features some of the most iconic views, ranging from startling arches to jagged, sheer canyons. While it appears to be a fairly inhospitable place, the area benefits from a number of popular resorts. This UNESCO world heritage site provides the traveller with a combination of a unique scenery with a vibrant culture. 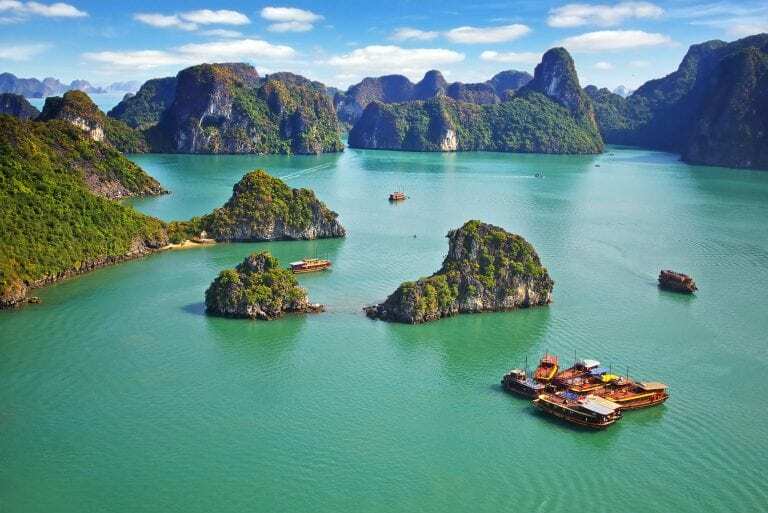 It is best to experience the location via a boat tour. With a wide range of beaches, mountains and interactions with the locals to experience. 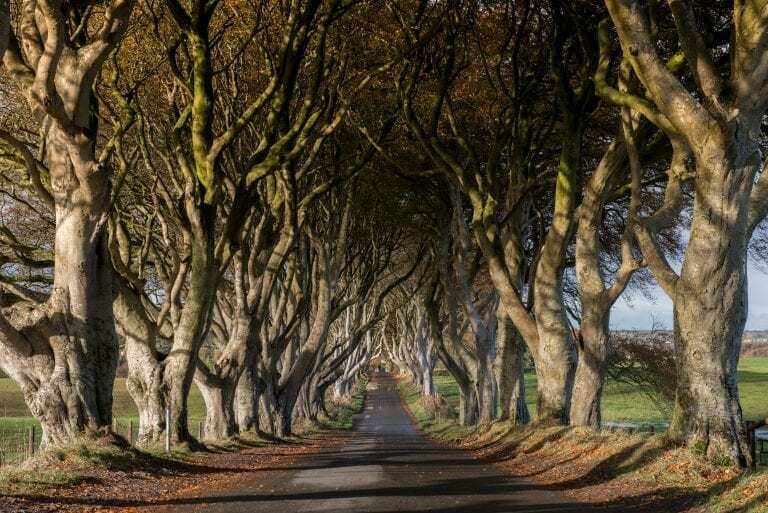 The Dark Hedges was planted in the 17th century and stands as one of North Ireland’s most amazing places. Interestingly, the beach trees have been featured in the popular TV show Game of Thrones. Mostly due to their other-worldly appearance. Nice article these are all in my travel bucket list im visiting each and every country as im right now getting graduated but I m planning to be a full-time traveler, thanks for the amazing tips and also sharing the places most beautiful places with us.